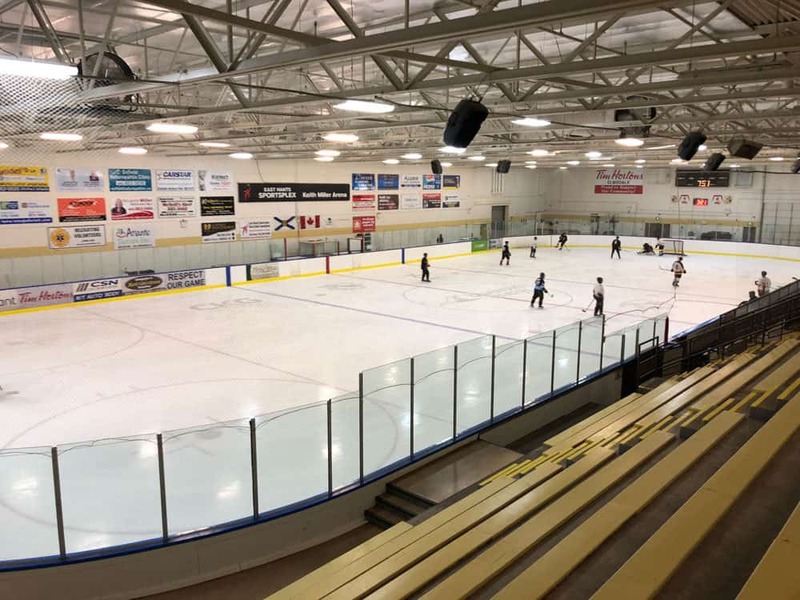 Keith Miller Arena (KMA) – This is a regulation size ice surface with a 900 person seating capacity. There is viewing and seating up in the Roxie’s Cafe area which looks over this ice surface. Ice Pad B (IPB) – This is a regulation size ice surface with a 230 person seating capacity. Activities being offered in both arena’s are minor hockey, women’s hockey, figure skating, gentleman’s league, birthday parties, parent and tot skate, and public skating. Also as of Fall 2018, curling is now being offered on Ice Pad B. During off season, these dry pads are available for trade shows, craft fairs, ball hockey leagues, flea markets, etc. The capacity for these events would be 1400 people. Note: KMA PAD- Now DRY PAD until Middle of August 2019.